This is a new high-tech parent-child interactive bumper cars. The design injected new idea of sports competition spirit into the game which changed the original game modes.The game is more interesting. A special designed cambered chair makes children sitting in front of their parents more comfortable. The body has two sets of control system, if the child cannot drive a vehicle, parents can help by the control handle on both sides of the car. When the game begins, children and parents need to work with each other with skilled driving skills drive out of enemy, and shoot laser to block the rival. In the course of the game exciting they can enjoy the fun of family interaction. 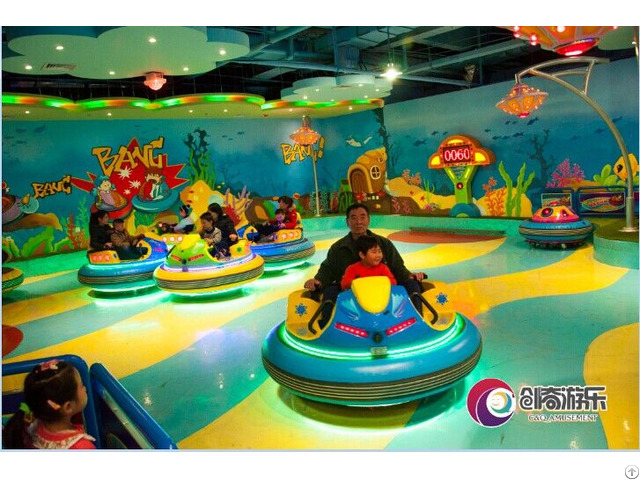 Business Description: Shenyang C&Q Amusement Equipment Co.,Ltd. is a member of CAAPA and IAAPA. We are a professional amusement rides manufacturer and owns professional teams in designing, manufacturing and servicing with good theories and practice. it is located in heavy industrial city Shenyang, China and lands 55,000sqm with 32.000sqm workshops. At present we own 500 staff including 60 designers. We have developed lots of popular high-tech products which are acknowledged by our clients and markets, altogether 15 catagories more than 60 kinds and we own more than 10 patented technology. Among which, the family-children interative theme rides are in the leading level of this field.Our products are sold to East Europe, Southeast Asia, Japan, Korea, and American.